These high demand fedora hats will be back in stock by the end of November. Pre-orders are accepted. 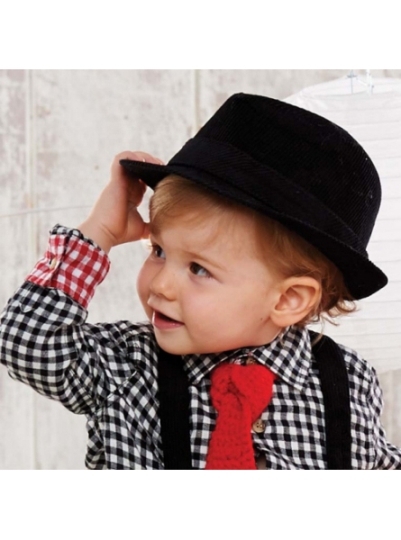 Black corduroy Trilby style fedora hat with cord band detail. The brim is rolled in back with a brim in front. 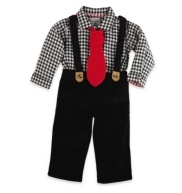 Fits ages 1 - 5 yrs approximately. The hat measures 20 inches.